When is oatmeal more than just oatmeal? When it is enhanced by the creamy taste of almond butter for a nutrient-rich, stick-to-your-ribs breakfast. If you’re gluten-sensitive, make sure your oats are gluten-free. This recipe is from Nut Butter Universe by Robin Robertson (c) 2013. Reprinted with permission. 1. Bring the water to a boil in a medium saucepan over high heat. Reduce the heat to low and stir in the oats, cinnamon, and salt. Simmer for 5 minutes, stirring occasionally. 2. Remove from the heat, cover, and let stand for 2 to 3 minutes. 3. In a small saucepan, combine the almond butter, maple syrup, and almond milk over medium-low heat, stirring to blend. 4. To serve, spoon the oatmeal into 4 bowls and garnish each with a swirl of the almond butter mixture. 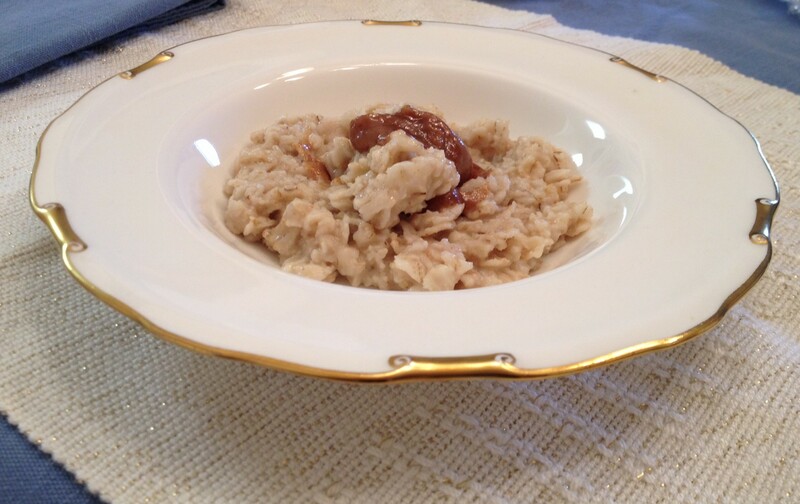 Let us know what you think of this easy vegan recipe: Oatmeal with a Swirl of Almond Butter!